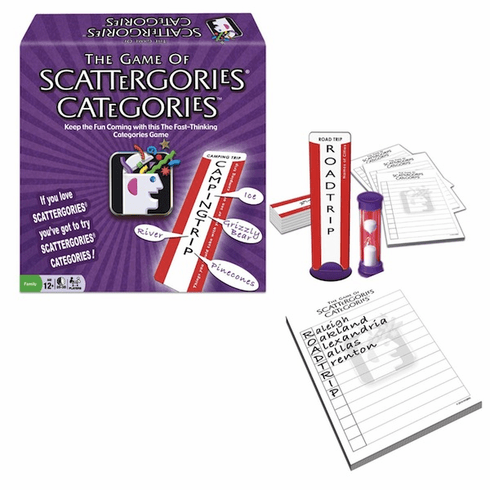 If you loved the game of "Scattergories" then Scattergories Catergories is the next game you will want to play. It's a great twist on your favorite. Keep the fun coming with this fast-thinking catergories game. Contains 125 crds, containing 250 word challenges, 2-minute sand timer, 4 pads of scoresheets, plastic card base and rules.